Powered exclusively by xenon-fed electric thrusters, the SES 15 satellite could last up to 18 years, beaming in-flight wifi to airline passengers, giving pilots and air traffic controllers more accurate GPS navigation data, and supplying capacity to television broadcasters. 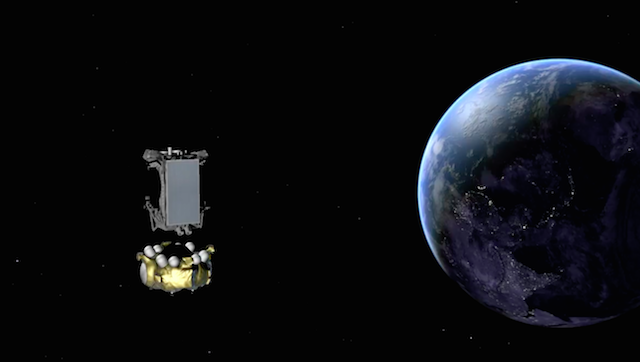 The compact, lightweight Boeing-built SES 15 telecom craft launched at 1154:53 (7:54:53 a.m. EDT; 8:54:53 a.m. French Guiana time) Thursday, arcing to the east from a French-run space base at the edge of the Amazon rainforest on top of a Russian-made Soyuz rocket. The kerosene-fueled Soyuz launcher, an iconic fixture in the global space industry for 60 years, took advantage of a break in rainy weather and climbed through partly cloudy skies, letting go of four strap-on engines, a clamshell-like nose cone, and its core stage in the first five minutes of the mission. A third stage RD-0110 engine then took over control of the flight, and a Fregat upper stage released from the forward end of the Soyuz launcher for two main engine burns, separated by a long-duration coast that lasted four-and-a-half hours. The flight operations director inside the Jupiter control center at the space center announced the separation of the SES 15 satellite more than five hours after liftoff, concluding the longest spacecraft deployment mission ever launched by Arianespace, the company in charge of Soyuz launch operations in French Guiana. Martin Halliwell, chief technology officer at SES, confirmed the SES 15 satellite established contact with a ground station soon after the deployment, and officials declared Thursday’s mission a success. The ascent profile for Thursday’s launch placed the SES 15 satellite closer to its final perch in a circular geostationary orbit, where the spacecraft will loop around Earth’s equator at an altitude of nearly 22,300 miles (35,800 kilometers), the exact distance needed to move in concert with the planet’s rotation. The unusual timing of the second Fregat firing will help shave several weeks off the time it will take to transition SES 15 into service, officials said. The Fregat upper stage’s on-board guidance computer aimed to release SES 15 into an egg-shaped transfer orbit ranging from 1,367 miles (2,200 kilometers) to 19,449 miles (31,300 kilometers) in altitude, inclined approximately 6 degrees to the equator. 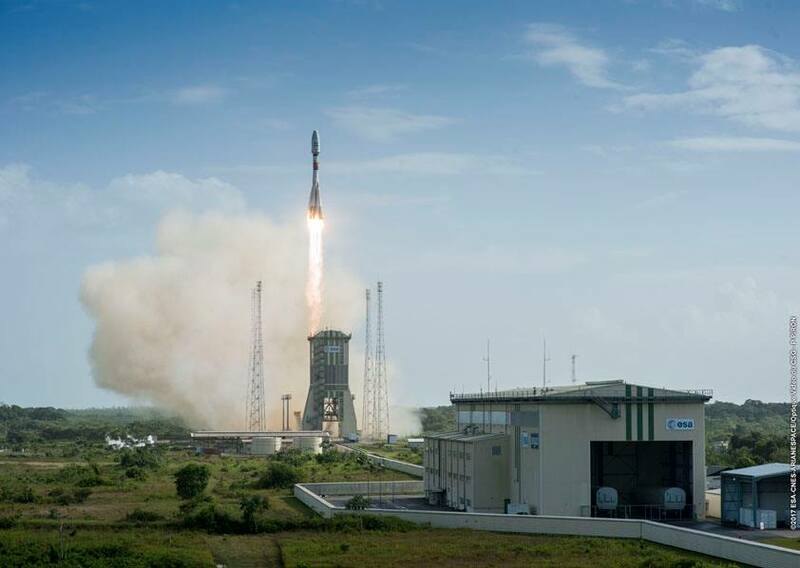 The launch was delayed from April 4 by a general strike in French Guiana that shut down the space center, interrupting flight preps for the rocket and the spacecraft. The spaceport reopened in late April after an accord signed between the French government and local leaders promised a multibillion-euro aid package to improve security, health and education opportunities in the territory. Russia has accomplished more than 1,800 launches by Soyuz rockets, and Thursday’s flight was the 17th time a Soyuz launcher has blasted off from French Guiana, the only Soyuz pad outside the former territory of the Soviet Union. 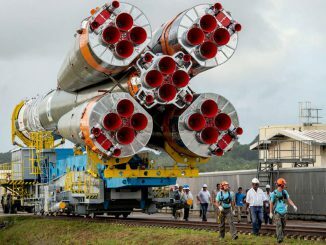 Soyuz operations in French Guiana began in 2011 after Russian and European teams started construction of a purpose-built launch pad in 2007. The French government funded most of the work, with additional contributions from the European Space Agency. The low-thrust xenon-ion jets on SES 15 will be activated in the coming weeks to nudge the satellite toward its final operating post. The orbit-raising maneuvers will take around 190 days to complete, according to Halliwell, and SES 15 should be operational by the end of December at 129 degrees west longitude. The electric thrusters take longer to move between orbits than the conventional liquid-fueled engines carried by most communications spacecraft, but the tradeoff makes for a lighter satellite without giving up any capability. Without a heavy propellant tank, a satellite with the same broadcast capacity can launch on a smaller, less costly rocket. SES 15 is the fifth Boeing-made commercial satellite with all-electric propulsion, following four payloads launched by SpaceX Falcon 9 rockets in 2015 and 2016. 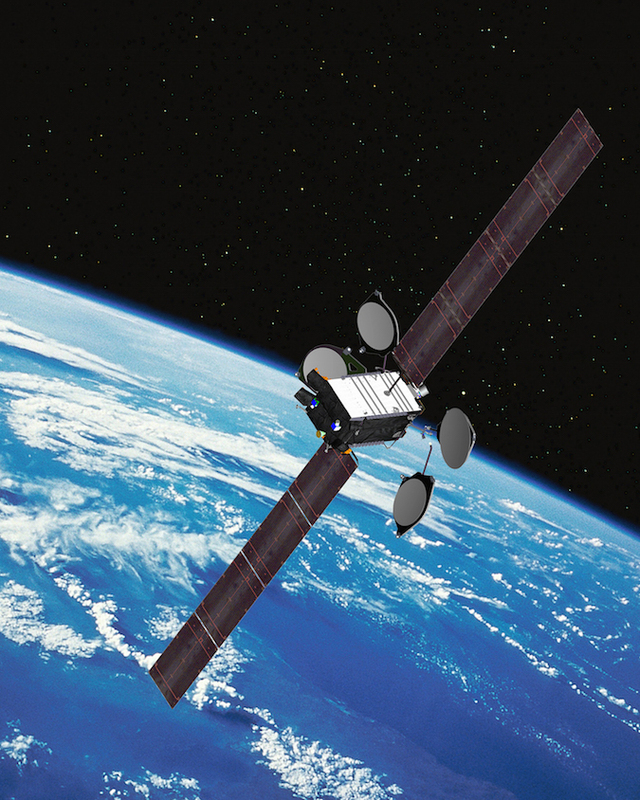 SES and Boeing announced the agreement to build the SES 15 satellite in February 2015. The spacecraft hosts hardware for multiple Ku-band communications missions, including a high-throughput payload designed to provide in-flight connectivity to airline passengers traveling across North America, Central America and the Caribbean. The aeronautical mobility payload “covers the whole of the United States, going right the way up to Alaska, and with a corridor going out to Hawaii, all in Ku,” Halliwell told Spaceflight Now in a pre-launch interview. A Ku-band beam for video broadcasts overlays the high-throughput footprint over the United States, according to Halliwell. SES 15 also carries a hosted payload built by Raytheon to improve GPS navigation data over the United States. The navigation aid is part of the Federal Aviation Administration’s Wide-Area Augmentation System, used by pilots and air traffic controllers to improve aircraft spacing and positioning near busy airports and in inclement weather. Airbus Defense and Space is preparing a Eutelsat communications satellite with all-electric thrusters for launch on an Ariane 5 rocket next month, marking that contractor’s first in-space demonstration of the technology. SES 15 was originally supposed to fly on a dual-payload mission on Arianespace’s heavy-lift Ariane 5 rocket, but the launch firm and SES agreed last year to switch to a medium-class Soyuz booster to keep the satellite on schedule due a jam-packed Ariane 5 manifest. In an interview with Spaceflight Now before Thursday’s launch, Spiwak said more than 50 structural components on SES 15 were 3D-printed. “We’re now using a lot of these technologies, whether it be all-electric (propulsion) or printed parts, across all of our product line,” Spiwak said. 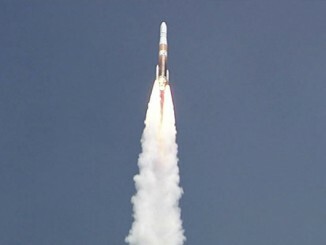 SES 15 was the second Boeing-built telecom satellite launched this week. A SpaceX Falcon 9 rocket took off Monday and delivered a heavyweight satellite for Inmarsat’s mobile broadband service to orbit. Arianespace’s next mission is scheduled for June 1, when an Ariane 5 rocket will haul two more communications satellites to orbit. 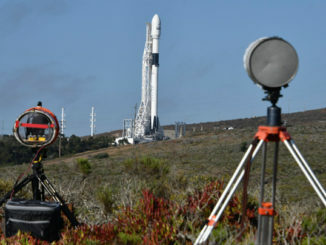 The heavy-lifter will carry the ViaSat 2 spacecraft, designed to provide high-speed Internet services in the United States, and the Eutelsat 172B satellite with a coverage zone over the Asia-Pacific.